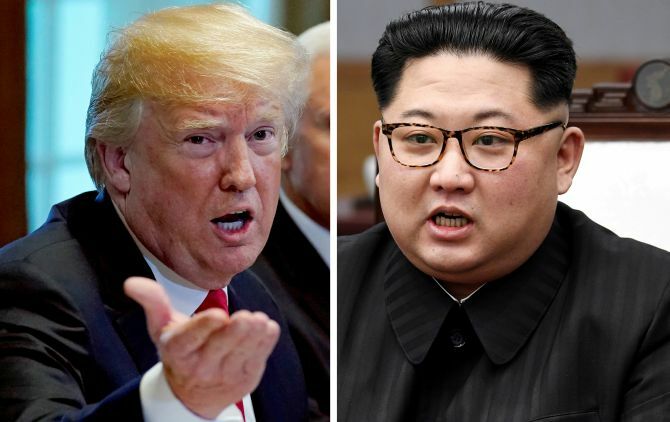 North Korea on Friday said that its leader Kim Jong Un is still willing to meet United States President Donald Trump ‘at any time and in any way’, after the latter abruptly cancelled their summit scheduled for June 12. Kim Kye Gwan, a top official at North Korea's foreign ministry, said in comments published on Friday by the country's state-run media KCNA that Trump's decision runs counter to the global community's wishes for peace on the Korean Peninsula, CNN reported. ‘We reiterate to the US that we are willing to sit face to face at any time and in any way,’ said Kim Kye Gwan. Trump, who cancelled the upcoming summit with Kim on Thursday, said that calling it off is a lost opportunity for the latter and the world. Trump described the cancellation of the summit as ‘a tremendous setback’ for North Korea and warned that the US military is ready to act should Pyongyang take any ‘foolish and reckless’ action. The White House on Friday tended to point the finger at China for the 'sudden change in attitude of the North Koreans' for the proposed summit in Singapore. "We can only speculate as to exactly what was discussed or why that might be, but the shift in attitude did not go unnoticed by the President," said a senior White House official, responding to questions on the sudden change in behaviour of the North Koreans. Earlier, Trump had said that North Korea changed its approach towards the summit after Kim had his second meeting with President Xi Jinping in China. "The President made some public comments about his sense that after the second meeting between the Chinese and North Korean leaders, there was a shift in attitude," the official said. He, however, exuded confidence that China would play a constructive role in implementation of the international sanctions vis-à-vis North Korea. Meanwhile, Secretary of State Mike Pompeo has said that Kim is not a weak leader and he has shown tremendous capacity to lead North Korea. Pompeo is the only top US official to have met Kim twice in recent weeks. Pompeo first travelled to North Korea in his capacity as the Central Intelligence Agency director last month and again this month as the Secretary of State. Both the meetings, he said, laid the ground work for a meeting between Kim and Trump. "I spoke in English. There was a translator. But our team confirmed that the translator said what I said. "I had two meetings, maybe three hours plus, total, enough that I understood him to have understood what I was saying," the top US diplomat told members of the Senate Foreign Relations Committee on Thursday. "When I heard back from him (Kim), there was little doubt in my mind that he understood the scope of what we were asking for, the nature of what would have to take place, the verification that we would need to undertake in order to be comfortable that we could begin to deliver the assurances that he, in return, asked for," Pompeo said when Senators asked him if he was able to convey the message to Kim properly.